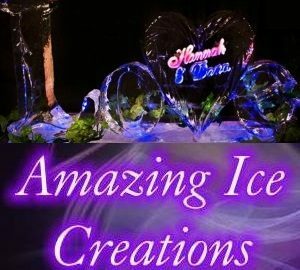 Get A FREE Brochure from "Amazing Ice Creations"
Wedding Ice Sculptures from Amazing Ice Creations are an inexpensive way to add that special touch to turn your wedding into an elegant occasion. 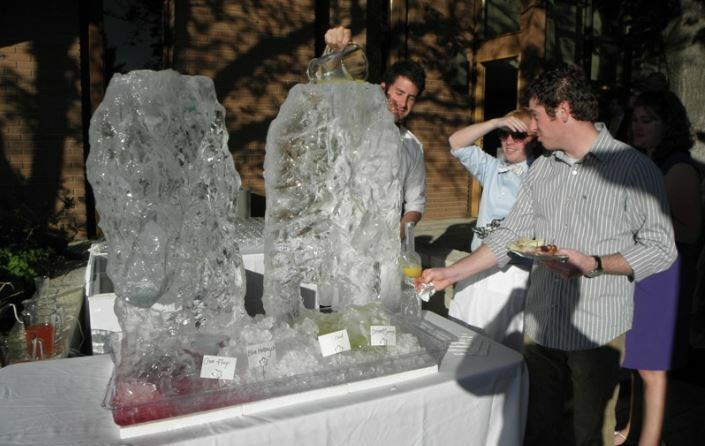 Ice sculptures add class and style to any type of outing. 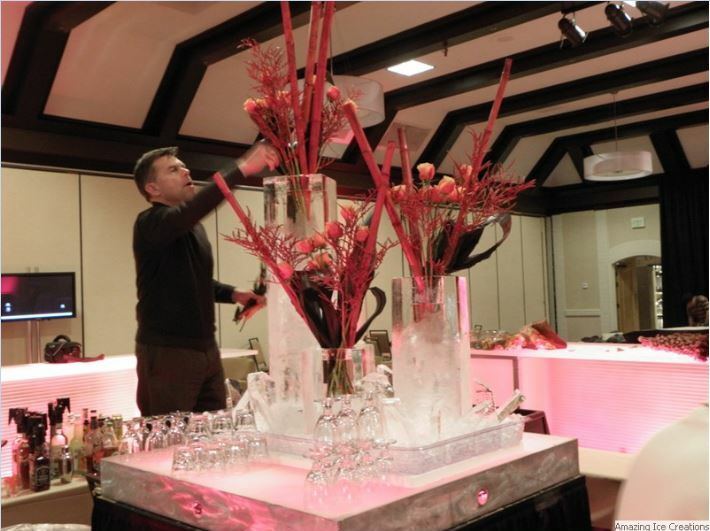 Indoors, outdoors, weddings, receptions, conventions, executive meetings, displays, sales meetings, birthday parties, anniversaries, or any other type of special event can benefit from a first class custom ice carving from Amazing Ice Creations. 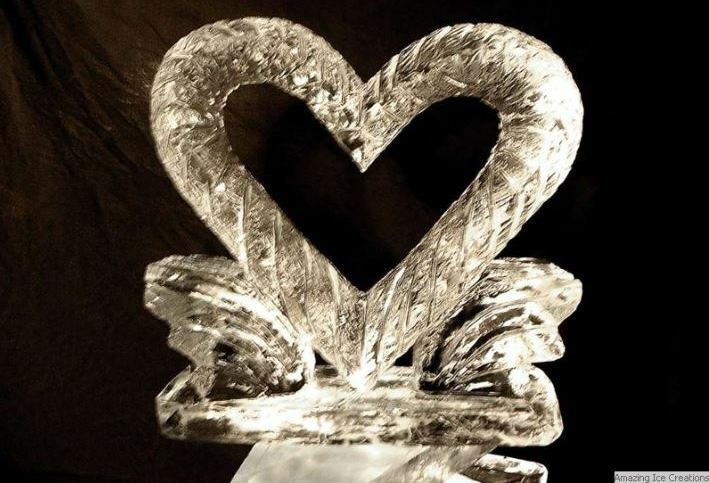 Ice Sculptures by Amazing Ice Creations has been creating CUSTOM designs in ice for years, carved by hand from solid 300 pound blocks of ice produced right in our own manufacturing plant. 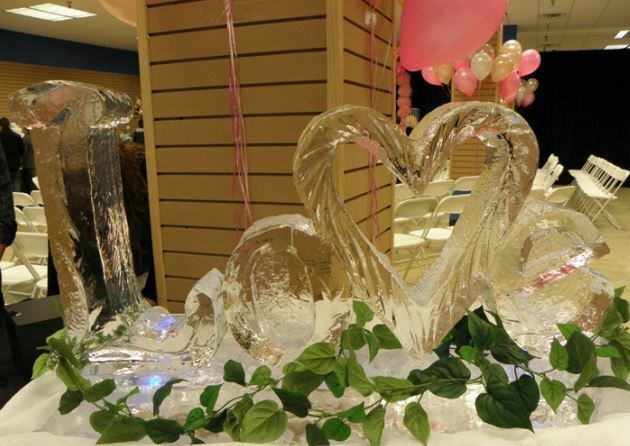 The professionals at Amazing Ice Creations can create just the right touch for your party. We can custom create just about anything your mind can dream up. From block style names like Mom, Dad, Grandma or personal names to exotic cars, buildings, animals, numbers…you name it, we can put it in ice. 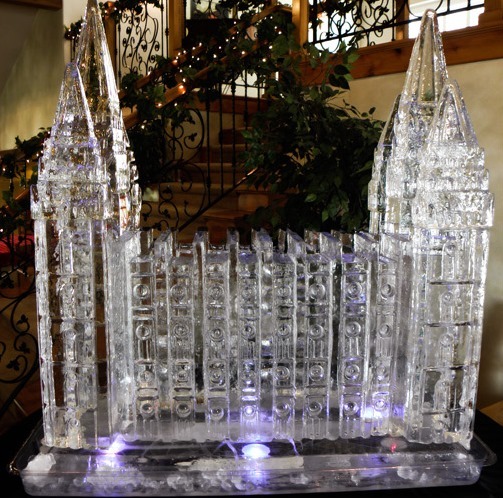 Ice Sculptures by Theron is proud to have been contracted to create special ice carvings for the Salt Lake City 2002 Olympics. We were able to produce numerous Olympic logos, some famous Utah landmarks and even a miniature of the US Olympic Stadium. Give us a call, let us know your ideas, we’ll turn them into reality. Feel free to browse our Image Gallery if you are looking for ideas or if you are just as fascinated with ice carvings as we are. We’re proud of our work and we love to show it off. 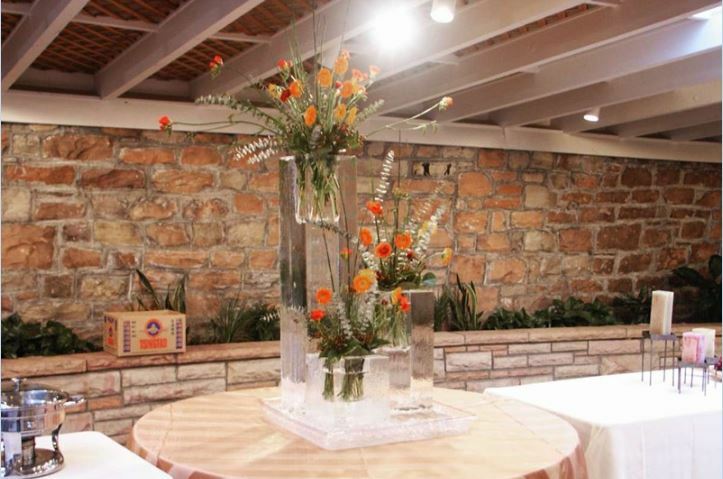 If you are having a wedding, don’t worry about the ice, we have got you covered. Please mention this ad when you contact Amazing Ice Creations! Also see our ad in the Wedding So Easy Book – Utah’s Premiere Guide to Wedding Professionals! I want to personally thank you for the ice carving. Theron is a true pleasure to work with ... for my daughters wedding... 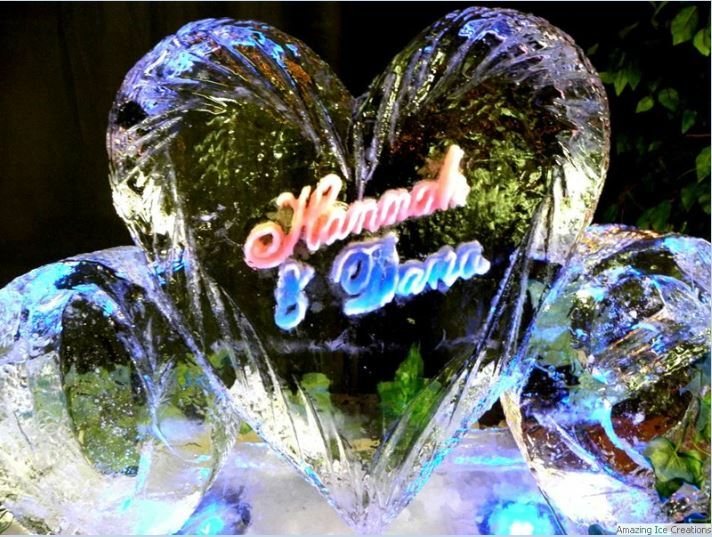 The ice carving turned out even better than I ever dreamed of and the parents of the groom were totally amazed. Out of all the decorations, the ice carving you received the most comments. Everyone was very impressed. Thank you again for helping make our daughters wedding as wonderful as possible.